Numbness and tingling are abnormal sensations that can occur anywhere in your body. They are often felt in your fingers, hands, feet, arms, or legs. Depending on where this numb feeling occurs, there may be additional sensations. Numbness, in your fingers or elsewhere, may also be accompanied by a pins-and-needles sensation, burning, or tingling; your arm, hand, or fingers may also feel clumsy or weak. Numbness in fingers is not typically caused by a serious condition; however, if it becomes a recurring problem, it is a smart idea to seek medical care. 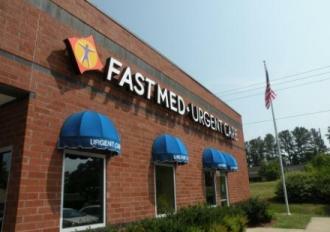 FastMed Urgent Care offers services for non-life-threatening medical issues 365 days a year. Finding the time to see a physician about numbness in your fingers isn’t always easy. That is why FastMed’s clinics are open extended hours. If you are experiencing numbness in your fingers visit one of our North Carolina or Arizona locations today. If the numbness in your fingers has no obvious cause, or you have pain in your neck, forearm, or fingers, you should visit FastMed Urgent Care as soon as possible. It is important to determine the cause of the numbness in your fingers because it could be caused by a serious a condition or worsen if left untreated. Our clinics are equipped with on-site labs and x-Ray machines, so we can perform a variety of tests to determine the cause of the numbness in your fingers. FastMed Urgent Care is open with extended hours, 365 days a year, making it easy for you seek treatment.